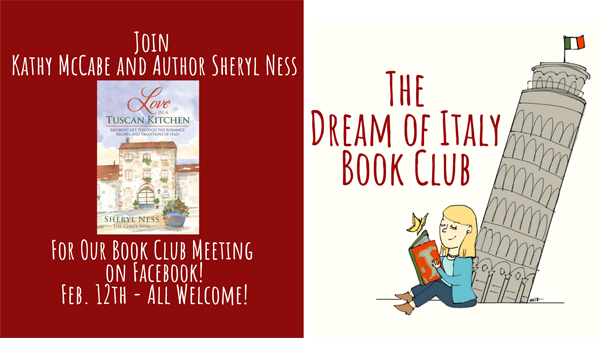 The first author in our Dream of Italy Book Club is Sheryl Ness. 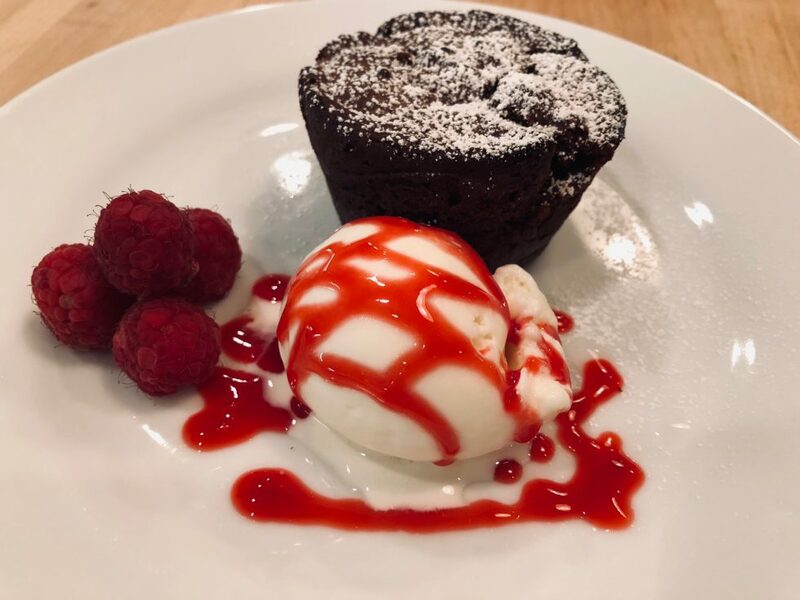 Her book, Love in a Tuscan Kitchen: Savoring Life through the Romance, Recipes, and Traditions of Italy is a real life fairy-tale and it all started with a tortino di cioccolato- a hot chocolate cake. Read about the magic of this chocolate cake and see the recipe to make it for yourself. 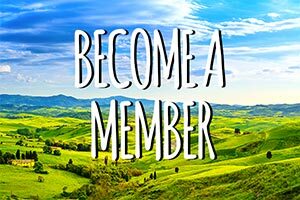 Join us on February 12th for our book club; you will receive a copy of the book when you become a Dream of Italy member. 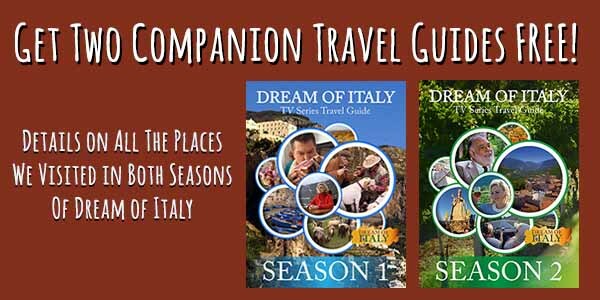 Twelve years ago, I traveled to Italy and fell in love with the people, the culture and the food. 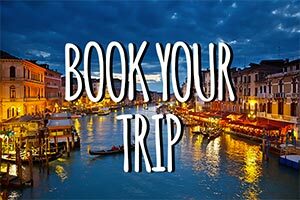 I was mesmerized by the experience and traveled back a few years later to spend time with my friends in a little village in the heart of Chianti. One day, my friends and I were eating at a local restaurant celebrating a birthday. As I was enjoying my meal that day, I remember wondering about the person, the chef, who had created such incredible food. The love and care that he had taken in preparing the food was obvious from the artistic way it was presented, and the looks of satisfaction and pure happiness as everyone was enjoying the dishes. That day, we had the hot chocolate cake for dessert. That very afternoon, I followed Marco back to the kitchen, and I met Vincenzo for the first time. He greeted me without saying a word. He had these giant brown eyes and a wide smile that took up most of his face. In an instant, I could see my life reflected in his eyes. This is where the story of our life together— Vincenzo’s and mine—began. All because I asked for a recipe for chocolate cake. That moment changed my life forever. Vincenzo says it was fate that brought me into his kitchen that day. I say that I listened to my instinct to keep following my heart back to Italy. I wrote my story to inspire others to listen to their heart and not be afraid to keep dreaming and talking about what you need in life in order nourish your spirit. Melt together the butter and chocolate in a bowl above a water bath. You can create a water bath by placing a glass or metal bowl above a medium saucepan filled with water (1/2 full). Warm the water over medium heat. The water should not be touching the bottom of the bowl. Set aside the melted chocolate to cool slightly. You can also use the microwave on 50 percent power for 1-2 minutes to melt the chocolate and butter together in a glass bowl. Beat the eggs and sugar together well until the mixture is creamy and light yellow. If you use a stand mixer, this works well. Beat on medium high for around minutes. Slowly add the egg and sugar mixture to the melted chocolate mixture (a little at a time). Next add the dry ingredients – flour, cocoa powder, baking powder and salt. Mix by hand for 1-2 minutes until the mixture is smooth. Spray 10 individual ramekins (4-6 oz.) with spray oil or use butter to coat the inside well. Pour the chocolate mixture into the ramekins, filling about ¾ full. Bake cakes at 375 degrees for 10-12 minutes (the middle should remain a bit melted). Turn the ramekins upside down on a small plate to turn out each individual cake. Serve warm with vanilla ice cream and fresh berries.